This topic contains 287 replies, has 12 voices, and was last updated by Brydo 2 months, 3 weeks ago. This is when the electric car starts to get really serious. This week Mercedes has revealed its first, bespoke, all-electric car to the world and later this month, Audi does the same. Rest assured, it’s not stopping there. It all comes hot on the heels of Jaguar getting its I-Pace to customers before its rivals – and winning our Car of the Year prize in the process – and Hyundai launching an affordable all-electric small SUV with a real-world range of 300 miles. Of course, cars like the Nissan Leaf, Renault Zoe and Tesla Models S and X have been with us for a while, but it’s going to take more mainstream and premium brands to come to the party to make wary buyers really sit up and take notice. The biggest barrier to EV ownership remains range – unfairly so, these days. The perception of ‘under 100 miles’ will soon change as closer to 300 miles becomes the new norm, while interest will increase as more and more appealing (if not particular attractive) cars like the EQC are launched. 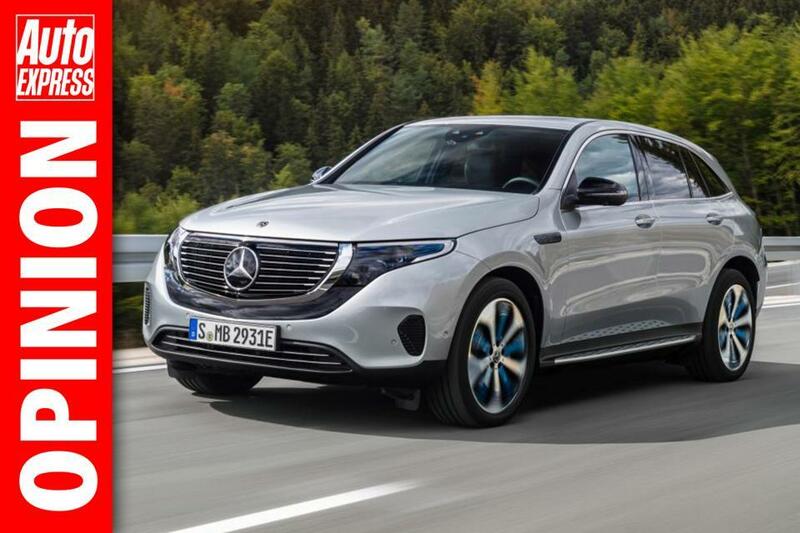 Mercedes is going at it with real gusto – EQ is set to become a Mercedes brand in the same way AMG and Maybach are. EQ stands for ‘electric intelligence’ (yes, that’s what I thought, too). It also stands for a range of electrified models that’ll line up against rivals from every other maker in the coming years. In spite of all that, every time I sing the praises of electric cars, my inbox chimes with messages from people who say they’ll never provide the fun we get from internal combustion-engined cars! To those people I say simply: go and try one. We had a similar situation 20 years ago with diesel. Once we’d experienced it – and seen the benefits – we were hooked. That’s the same with an EV; it’s hard not to be impressed and excited once you’ve had a go. KIA e-Niro its a game changer! The Niro has just changed the range of the EV as a third party test centre did the test wrong. It’s only down graded it by around 15 miles I think, I’m not sure where I read it now (I think it was an a Express artical). I think the Niro is the best size and range vehicle for my needs but Auto Express state the starting price after the 3.5k grant is £32999 so will we see it on the scheme. It’s sister vehicle the Hyundai Kona hasn’t made it and it’s cheaper ( and smaller). I’m guessing a lot of the issue for Motability is how to set the AP on EV’s as at present there really is no indication of resale value, it’s not the manufacturers holding these vehicles from us it Motability. There is a bit more info on the resale value of evs JS but I do appreciate that it is still a bit of an unknown, however others are selling and leasing them so motability should also be able to. Electric vehicles registrations increased 30% in November 2018 compared with last year, despite changes in the Plug-in Car Grant – which came into force mid-October 2018 – reducing funding for pure-EVs by £1,000, and removing support for available PHEVs altogether. There seems to be a Total lack of interest in Diesel Hybrids which is a bit worrying for JLR and there future models. Always thought The New Velar was the time to launch a petrol Hybrid to the range but they just keep sticking with Diesel. Just on the phone to my local Kia dealer asking about the KIA e-Niro 64kWh First Edition 150kW Auto, he says they will be available to order from 9th January 2019 with delivery dates from April 2019. He is unaware of any supply problems or delays. Your solar panels will be working overtime, considering all the hype regarding diesels fuel consumption my Ford Kuga 2.0 150bhp diesel powershift due to the cold weather 34 mpg. The second generation of the Vauxhall Mokka X will be available as a fully electric model, with the British brand saying production of the SUV will begin in 2020. The Mokka X will switch to the same PSA platform as the likes of the new DS 3 Crossback, as well as the next version of Vauxhall’s Corsa. Speaking exclusively to Auto Express, Vauxhall/Opel boss Michael Loscheller said that development of the new Nissan Qashqai rival is well under way. Super-fast charging has long been one of the proudest boasts of Tesla drivers. But now, the tables are about to turn when it comes to charging speed. Next year, some electric cars from makers including Audi will be beating Teslas for mid-journey charge times, with much less expensive family EVs from the likes of Hyundai, Kia and Nissan sure to follow. It’s all thanks to the imminent rollout of a new network of 150kW charging points, at ordinary filling stations across the UK. BP Chargemaster has developed technology that will offer the fastest top-ups to date for electric cars, and it’s about be installed on BP forecourts in 2019. Vauxhall will accelerate its electrification plans in 2019, with the launch of a new pure-electric Corsa and Grandland X PHEV available to order in the first half of next year. The move coincides with the European version of Vauxhall – Opel’s – 120th anniversary. The new plug-in models will make use of platform and component sharing within the PSA Group, which also includes Peugeot, Citroen, and DS Automobiles. Following the supermini and SUV in 2019 will be a pure-electric Vivaro van, due in 2020, as will a pure-EV version of the Mokka X crossover. No details of the EV powertrain have been announced, though the Grandland X will use a plug-in hybrid system producing 300hp. This makes it extremely likely that it will use a petrol unit combined with two electric motors – one on each axle – a system already confirmed for the similarly sized Peugeot 3008 Hybrid4, which has the same power output. Michael Lohscheller, Opel CEO, said: “Opel is going electric! We made this announcement at the presentation of our PACE! strategic plan and now we are delivering. At the Stanford Global Energy Forum last month, Lei Zhang, founder and CEO of Envision Energy, made an extraordinary pronouncement. He said the cost of manufacturing EV battery cells would fall below $100 per kWh by 2020 and would be less than $50 per kWh by 2025 according to Driving, a Canadian automotive news site. The conventional wisdom is that when the price for EV battery cells falls below $100 per kWh, that is when electric cars will become price competitive with conventional cars and the EV revolution will go into hyperdrive. We can’t know for sure, but many industry observers believe Tesla is very near that threshold for the battery cells it manufactures at its Gigafactory 1 in Nevada, if it has not already crossed over it. In general terms, the current industry standard for EV battery cells is believed to be $145 per kWh. Battery pack prices are believed to be around $190 per kWh. Not only would cheaper batteries give a jolt to EV sales, it would make it possible for auto manufacturers to actually make a decent profit on electric cars. Once that happens, they will have no more excuse for holding on to their dream of building cars with internal combustion engines the way a person who has fallen off a cruise ship in the middle of the ocean holds on to a life raft. Arun Majumdar of Stanford began the forum with a prediction that sub-$100 per kWh prices would not happen for 5 to 7 years. The panelists were taken aback when Lei countered that it would happen within 2 years. Does he know something the others do not? Envision bought the former AESC battery business from Nissan when the car maker decided to stop building its own battery cells and source them from LG Chem instead. Battery research is proceeding at a furious pace around the world. Perhaps Lei has a reason to be so optimistic thanks to proprietary information available to him and him alone. Unlike Tesla, which has gone full speed ahead to create its Gigafactory, most of the world’s automakers have shied away from manufacturing their own battery cells. The fear is that an investment in a factory now using today’s battery technology could backfire if newer technology becomes available in a few years and makes current batteries obsolete. Better to let battery companies take that risk, the reasoning goes. That may be so. A lot of smart people with decades of manufacturing experience have examined the issue from all sides and decided it is better to source battery cells from a supplier now than get left holding stranded assets later. Only Tesla is bucking the conventional wisdom. Somebody is going to hit the battery jackpot somewhere down the line and be in a position to reap significant rewards. Who is your money on, Tesla or the other guys? Posted December 7, 2018 by Charles Morris & filed under Newswire, The Infrastructure. The growing energy demand created by EV charging could threaten the stability of electrical grids unless utilities take a proactive approach to planning their future networks, according to a joint study from management consulting firm L.E.K. Consulting and Australia-based charging infrastructure company Tritium. “Preparing the Grid for the Uptake of Electric Vehicles” highlights a clustering effect in which a higher proportion of EV ownership in certain locations could overload local electricity infrastructure, particularly the feeder lines into a street or other location. In 15 years electric cars will take half of the global market? According to the DNV GL forecast, the growth of electric car sales will accelerate and it will take the shape of an S-shaped curve of innovation. In result, 50% of all new cars sold globally to be electric by 2033, which is about 15 years from now (today’s average is roughly 20 times lower). The forthcoming all-new Citroen C4 Cactus will be the first all-electric Citroen since the C-Zero. It’ll also be first Citroen to show off a new look that’ll eventually appear across the company’s whole range. For Citroen, the electric Cactus is just one step in a process of electrifying the whole Citroen range, which will be finished in 2025. Key to the electrification of the Cactus is the fact that it’s moving over to the CMP platform which will also form the basis of the forthcoming Vauxhall Corsa, Peugeot 208 and – eventually – the PSA Group’s whole small-car range. The platform is able to take full electrification, and that means that an electric Cactus will go on sale alongside more conventional petrol-engined models as soon as the new range is launched. As yet, we have no idea what drivetrain will feature, but we should get some indication at the Geneva Motor Show in March 2019. 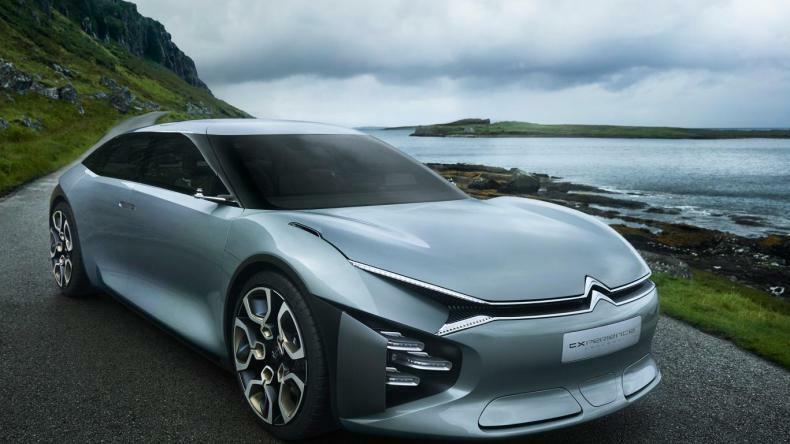 That’s when Citroen has promised to show off a full-electric concept car as part of its centenary celebrations. According to the company, this will show off the company’s vision of future mobility and retain the spirit of the classic 2CV. However, Arnaud Belloni, Citroen’s senior vice president of global marketing communications, told us: “If the original 2CV was for farmers and people who live in the country, our new concept will be for city dwellers”. The DS 3 Crossback will break new ground for DS, not just by morphing from a hatchback to an SUV, but by also including an electric version in the range. The DS 3 Crossback was first revealed at the 2018 Paris Motor Show and it’s expected to go on sale in 2019. It’s a rival for the likes of the Audi Q2 and MINI Countryman, and the electric E-Tense model will follow six months behind the petrol and diesel models, at the end of 2019. The reason the new DS 3 can go electric is that it’s based on the PSA Group’s new CMP platform, which will also form the basis of the new Peugeot 208 and Vauxhall Corsa. The E-Tense model will have a 134bhp electric motor powered by a 50kWh battery. That should give it a real-world range of around 200 miles, while it’s also expected to be compatible with 100kW fast chargers, meaning an 80% charge should be possible in just 30 minutes. Other than a few details specific to the E-Tense, we expect that the interior of the electric version will follow very closely the car that was on the company’s stand at the Paris Motor Show. That means a very distinctive design that’ll stand out a mile from its rivals. A 10-inch touchscreen dominates the dashboard, with a panel of touch-sensitive controls arranged in a diamond formation below it. There’s no question that DS wants to do things differently, but it has also made sure that the quality inside is very good, with classy materials and plenty of space. There’s been no announcement on how much the petrol and diesel versions of the DS 3 Crossback will cost, but the current estimates are for a starting price of around £21,000. Naturally, the electric model will be one of the most expensive models in the range. Looking at the price of its rivals, we’d expect the E-Tense to cost the best part of £30,000. It’s expected to go on sale towards the end of 2019. Dutch electric-car startup Lightyear has announced a partnership with Leaseplan to make its solar-powered electric car available for both lease and purchase when it launches in 2020. This week also sees the company open its production facility in Helmond in the Netherlands. It expects to have prototypes of its first model, the Lightyear One, built in 2019. A ‘Pioneer Edition’ of the five-seat hatchback will then go on sale on the Dutch market in 2020, ahead of a ‘broad launch’ happening in 2021. Lightyear says the One will be first production electric car with integrated solar cells. In typical Dutch weather, the One is expected to be able to drive for around 5,000 to 6,000 miles using energy from the sun. Its battery gives it a claimed range of nearly 500 miles on a full charge. A calculator on the company’s website lets you enter your location and find out how much of your annual driving could be done using power from the sun. For a driver in London doing around 12,000 miles a year, it estimates that 41% of the annual mileage could be completed on solar charging. The One can also be plugged in to charge at home or at a charging point like other electric cars – something Lightyear estimates would only need to be done 25 times a year if covering the above mileage in the UK, compared to 54 times a year for a Tesla Model S P100D. Lightyear was founded by former competitors in the World Solar Challenge – an engineering competition focused on building solar-powered vehicles. The company currently employs 100 people, including former Tesla, Ferrari and Jaguar employees. ‘Solar roof’ charging technology has been offered on the Nissan Leaf and Toyota Prius Plug-In and is also being developed by Hyundai and Kia. It’s possible to charge an electric car from domestic solar panels as well. Volkswagen has released concept sketches of a proposed mobile quick-charging station for electric cars. The station can be set up independent of a power supply and is intended for use in places like public car parks, on company premises or as a temporary charging solution at a large-scale public event. The company says the mobile station is effectively a scaled-up version of the portable ‘power banks’ used to add charge to mobile phones on the move. A charging capacity of 360kWh is estimated to allow up to 15 electric cars (and up to four simultaneously) to be recharged before the unit is depleted.